I visited a number of breweries in 2017. Some have amazing beer but can be quite hectic to visit. A smaller number both serve excellent beer and have a welcoming tasting room that you could easily spend hours enjoying. Out of these breweries, one might be unfamiliar to readers in the US who haven’t heard of a small Canadian brewery in an even smaller town. This list also specifically focuses on breweries outside of San Diego. Each of these also has a full blog post, which is linked to in the name of each brewery. 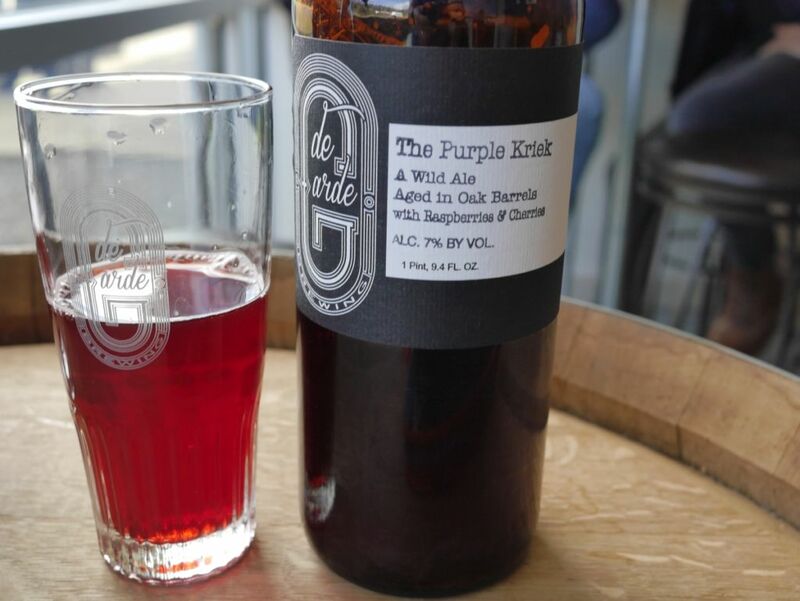 Located an hour drive west of Portland Oregon, De Garde is a brewery visited mostly by fans of sour beers enthusiastic enough to make the drive outside an already exciting city of breweries in search of excellence. The brewery is located in an area selected specifically for the microflora in the air for their wild ales. What makes a visit to De Garde so special is the delightful patio and bright indoor seating area where you can order numerous vintage bottles for on-site consumption. While there are beers on tap as well, there is something magical about sharing a vintage bottle with someone you just met. Visiting the source is also the most economical way to get bottles, that are priced quite reasonably at the source. Since my visit, we have started getting occasional bottles from De Garde in San Diego but I still look forward to a future visit. I also quite enjoyed staying overnight in the area and soaking in the beauty of the Oregon coast. 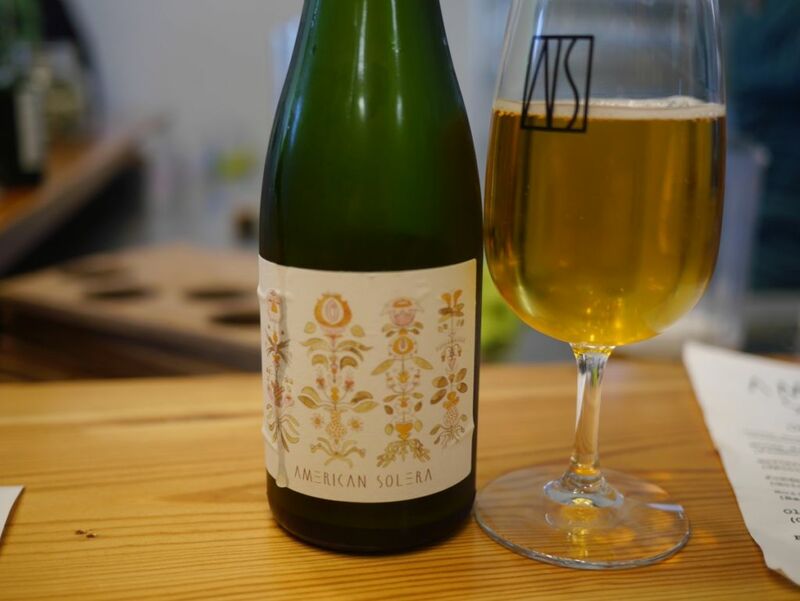 My visit in 2017 was prompted by some ratings listing American Solera as one of the best new breweries. This should come as no surprise for those familiar with Prairie, the brewery where the head brewer got his start. 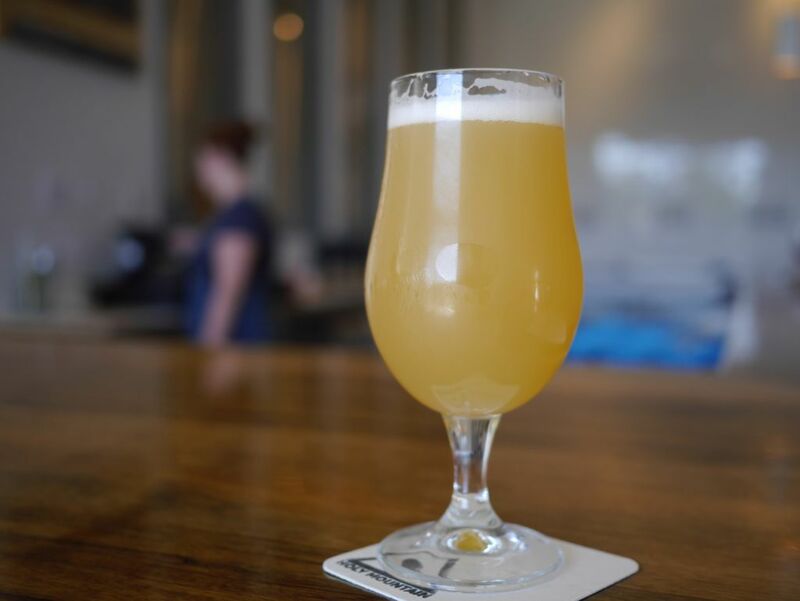 Located in the small town of Tulsa Oklahoma, American Solera is nestled in an industrial area outside of town and for many will be the main reason for visiting the area. Tulsa is so small that taking Uber around is cheap, making it easy for a solo traveler to visit. American Solera wowed me not just with their excellent sours but with their hazy IPAs, imperial pastry stouts, and barleywines. This is another spot where you would do well to order one of the vintage bottles for on-site consumption. If you are lucky, the person next to you will be a regular and can suggest a favorite. 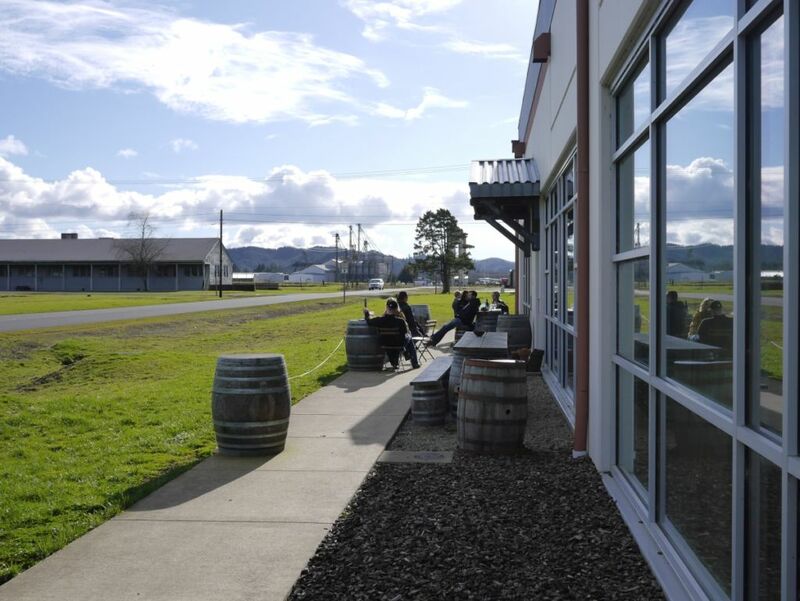 The tasting room is relaxed inside and has some outdoor seating as well. Many locals visit the brewery regularly and the quality is such that you wouldn’t mind this being your primary brewery available. I visited the small town of Kingston, Ontario solely based on a string of coincidences but the quality of the beers surpassed all expectation even with minimal hype behind it. Stone City is the only one on the list that served food as well and I quite enjoyed their hummus plate with my beers. To get to Kingston, most people will take a train from Toronto. My friend who lives in Kingston does not recommend the bus. Like others on this list, they are in a tiny town. Stone city had some excellent examples of juicy modern West Coast IPAs like you find at Fieldwork when they aren’t making hazy beers. What really blew me away was their delectable gose, hazy and soft like a hazy IPA but balancing gentile ginger and lime flavors. The whole line up of beers was impressive, all favoring subtlety over intense flavors. 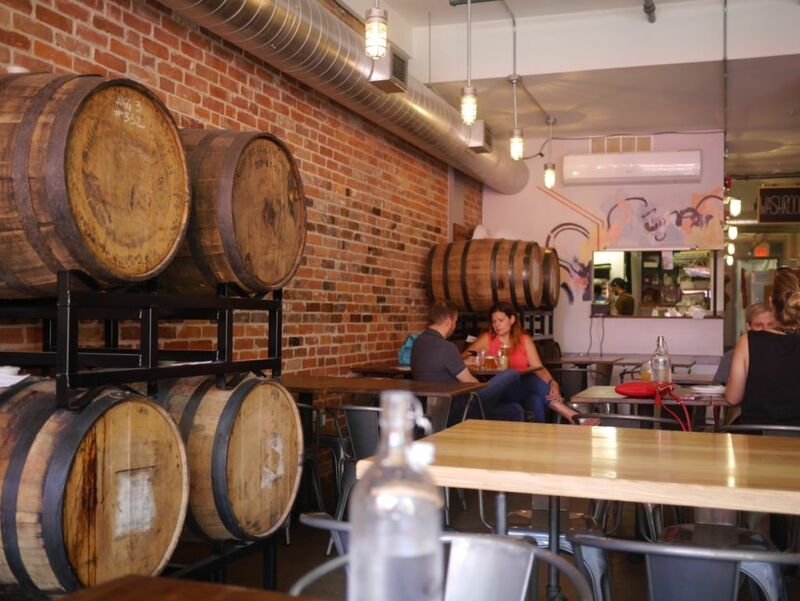 I sat in the brewery for 4 hours on that day and loved both the feel of the place and the conversation with fellow beer-enthusiasts, both locals and those on beer vacations. Holy Mountain and Jester King, my last 2 on this list, are the only ones I have visited multiple times. Both are so impressive that I can’t help but visit them when I am in their respective cities even if only for a short visit. Holy Mountain is in an area of Seattle that is not easy to get to by public transit but as soon as I walk in I am energized by the bright open tasting room with the rich wooden bar. My first visit I was blown away by the quality of their wild saisons and lagers. On returning, they had managed to blow me away with their hoppy beers, embracing the hazy trends while eclipsing many regulars. Like others on the list, it is easy for me to spend hours at a time enjoying the variety of beers on their menu. With the price of half pours slightly higher per ounce than full pours, I often end up drinking numerous full pours. Since my most recent visit they started canning their hoppy beers as well. Holy Mountain oozes excellence out of every beer served and always delights. Jester King is quite the drive outside of Austin and typically we rent a car to get there up the winding country roads. As soon as you get close to the entrance and see the wooden picnic tables out in the grass, the country charm takes over. 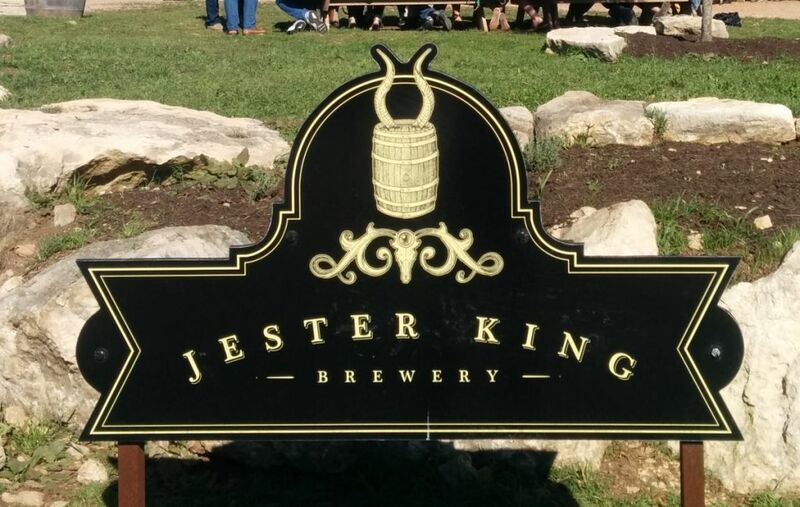 Jester King is primarily a spot for fans of farmhouse ales and sours though they occasionally will tap a stout. 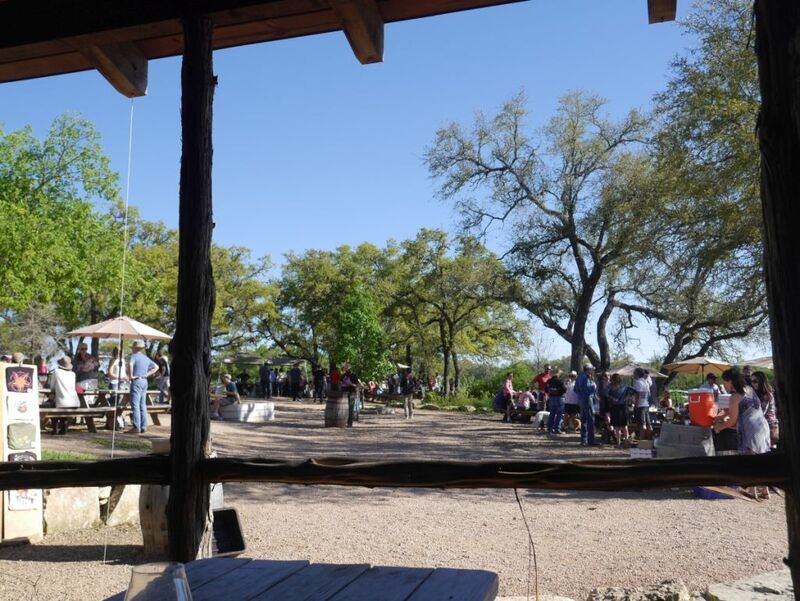 A view of some of the open space around Jester King. Each time I visit, I love the feel of sitting outside in the open air while enjoying the various beers available. 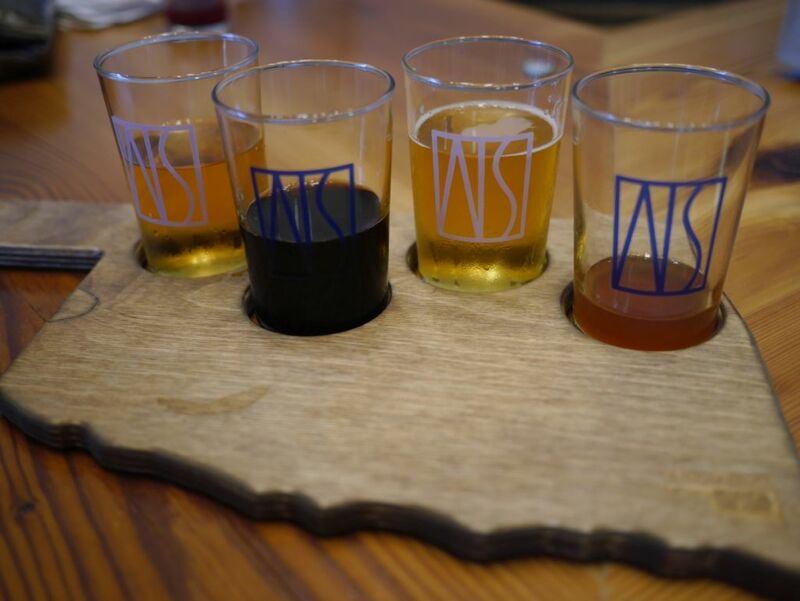 Most of the time my tasters are purchased to help me decide if I want bottles of the various beers they have to-go. I am always impressed by the quality of beers both on-tap and to-go in bottles even though I haven’t even snagged some of the more sought-after fruited sours that sell out quickly. Since Austin is a quick flight from San Diego I try to visit Jester King every year.